I am so sorry everyone!! I have let too much time pass between posts, but I think this just shows how ridiculous my April has been. Don't get me wrong, it has been a fantastic month full of great travel, dinner dates, spa treatments, volunteer committees, Game of Thrones premier and oh, yea, work. I have been to Charleston, Austin, Charlotte and heading to Chicago next weekend! With all the travel and fantastic food destinations, I thought I would provide another chapter for the Kettler Travel Journal. Even though this was a solo trip, my Hubby was with me in spirit. The ironic thing about this post is that I actually had 3 hours of free time, wrote the post, added the pictures, but then got distracted and it has taken me a week to get it up! 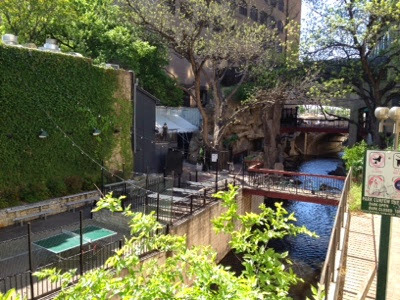 I am sitting here at the Easy Tiger Beer Garden in Austin and trying to figure out what to do with myself! Let me backtrack....my bestie, who lives in San Francisco is getting married in September. Of course, being a maid of honor, we had to plan a bomb bachelorette weekend. We decided on Austin because it is a ridiculously fun place and in the middle of the country, half way for everyone. Since flights are not frequent to Austin from Raleigh, I chose the early flight and got here before everyone, which left me with three hours of alone time in a town that is full of great food, hipsters and bars. Hmmm....what to do?!?! Easy Tiger was an easy choice for a spot to sit and chill before checking into our accommodations. They have everything, coffee and pastries for the morning-goers, and beer and sausages for the afternoon-ers. I happen to be one of those that fall into both categories, landing in Austin at 10:30am. It was early enough to try one of their 24-hour drip iced coffees, but I stuck around long enough to enjoy a few beers, Housemade sausages and spinach salad. Maybe the "few" beers got to me, but this place was great. Really grabbing the essence of a true Beer Garden. The wait staff was very knowledgeable about the beer list and super friendly, even offering more recommendations for the fun-filled weekend! 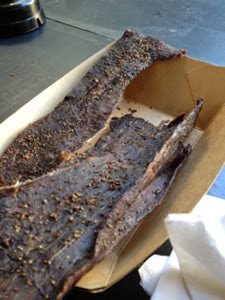 I started with their Housemade beef jerky - talk about delicious and slightly spicy. It was nice to snack on this for a bit before ordering lunch. Keep in mind I had been up since 3:30am that day, Eastern time! 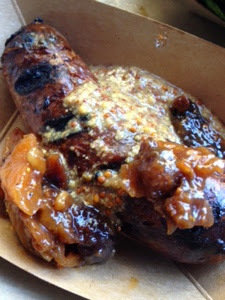 Lunchtime finally came around and I ordered the Venison sausage with ancho chile, smoke with mustard and fig-apricot-pecan chutney. Talk about explosion of bold, exuberant flavors! The venison-gamey flavor really comes through, in a good way. The mustard and chutney creates a nice balance of sweet and savory that masks the smoke flavor perfectly. I paired it with a side of Housemade green cabbage sauerkraut and a mushroom and spinach salad. Even though the sauerkraut was a welcome side of fermented, good bacteria goodness, the salad stole the show! 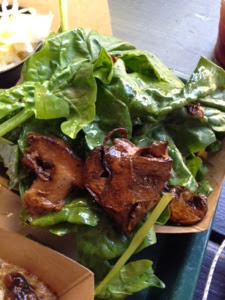 Roasted oyster and cremini mushrooms with a roasted shallot vinaigrette, served warm. 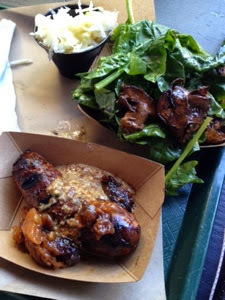 A delightful earthy contrast to the bold flavors of the sausage. All-in-all, the first meal in Austin was top notch. I know I have a lot more to look forward to, but thought I would get the report started. Plus, as I mentioned above, I finally had a few hours to sit and reflect. I seized the opportunity to post! I'm heading to Charleston, SC tomorrow - the epicenter of Creole and Southern cuisine!! Some of the best restaurants are found in Charleston, many of which are owned and run by James Beard-Award winning chefs! You might remember my last trip to the historic town. The Hubby, even though born in the Mid-West, has lived in the South for close to 15 years now, so he is accustomed to grits and the (true) Southern ways. His favorite are pimento cheese grits, which are amazing, especially when you use my Spicy Pimento Cheese. For this recipe, I started with the idea of Shrimp and Grits in mind and put my own spin on it....a.k.a. made it healthier! We usually like to serve it with Shrimp, but for those that aren't into seafood, this is pretty great without it too! Cook the Southern style grits per package instructions for 4 servings. Preheat the oven to 375F. In a large bowl, combine the cherry tomatoes, okra, oregano, olive oil and garlic, then stir to coat the vegetables well. Line a large baking sheet with foil and spread the vegetables in a single even layer on the sheet. Bake in the oven for about 30 minutes, stirring halfway. While the vegetables cook, caramelize the onions. Heat the Grapeseed oil in a small pan over medium heat, then add the red onion and cook, stirring frequently until they start to brown, about 15-20 minutes. Add in the white wine and continue to cook until most of the liquid has been absorbed. As you cook the onions, the sugars will release to brown and caramelize the onions. 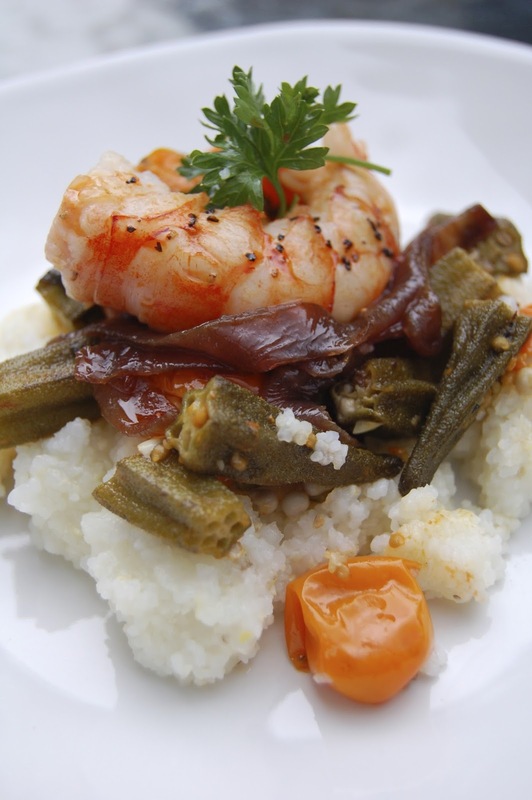 To serve, scoop about a cup of grits into a bowl, layer the vegetables on top and garnish with the caramelized onions. Sprinkle with freshly chopped oregano or basil for added flavor. We like to add sautéed shrimp on top!